Ingar Zach, born in Oslo, June 29th 1971, is one of the leading percussionists/improvisers from Norway. He is known for the wide range of sounds in his drum kit and he uses his percussion in a very dynamic but still energetic way. 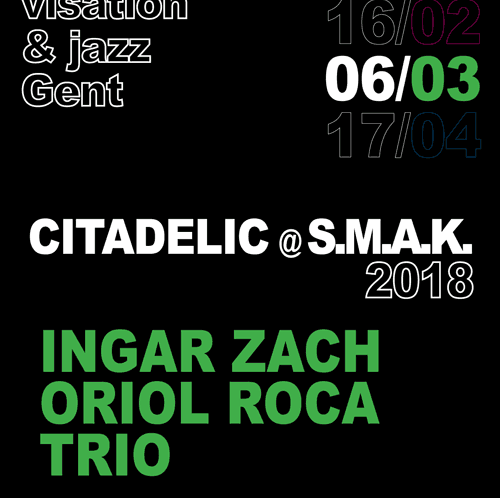 Zach is also involved in multiple collaborations and has shared the stage with many other instrumentalists such as Barry Guy, Evan Parker, Axel Dörner, Agustí Fernández or Derek Bailey. Oriol Roca, born in Barcelona, September 1979, has performed alongside some of the best improvisers and composers of creative music in Catalonia, as well as collaborating with figures like the Italian Paolo Angeli and Norwegian Jan Bang. But this is the first time Roca leads and writes music for his own band. He is accompanied by two old comrades, the pianist Giovanni di Domenico (Nate Wooley, Arve Henriksen, Jim O’Rourke) and the double bass player Manolo Cabras (Charles Gayle, Erik Vermeulen, Enrico Rava) two of the most personal voices on the European jazz and improvisation scene. Together they form a trio built on complicity, risk and friendship.